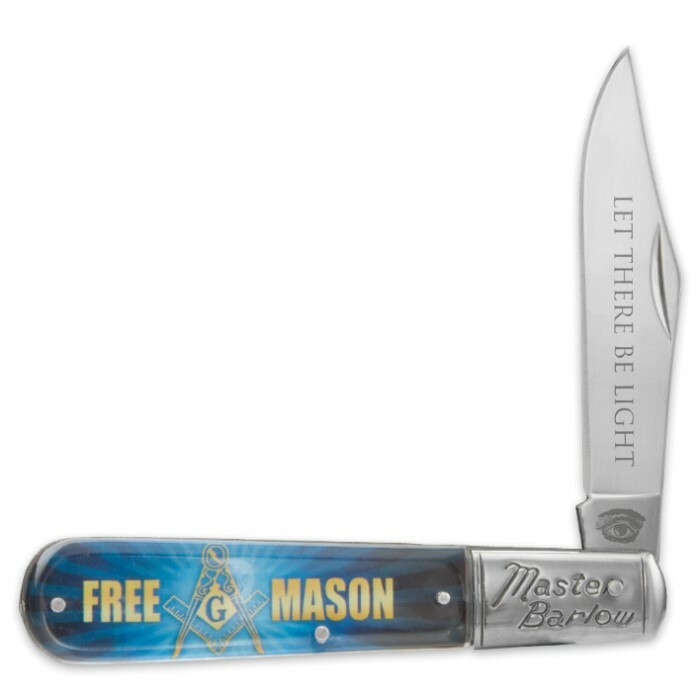 Free Mason Master Barlow Knife | BUDK.com - Knives & Swords At The Lowest Prices! 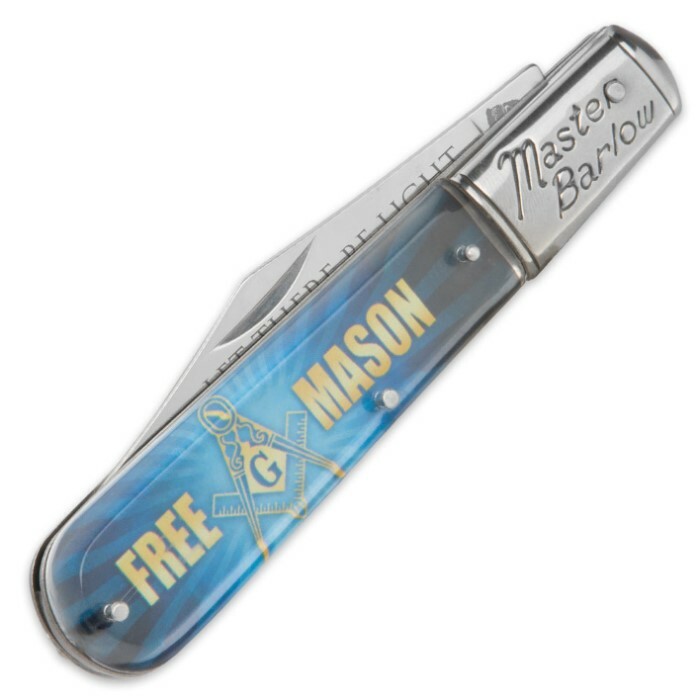 This Master Barlow pocket knife makes a great gift for the Free Mason in your life. This is a really great collectible knife that will become an heirloom item for sure. The 4” stainless steel blade has a finger groove and the bolsters are of shiny stainless steel. 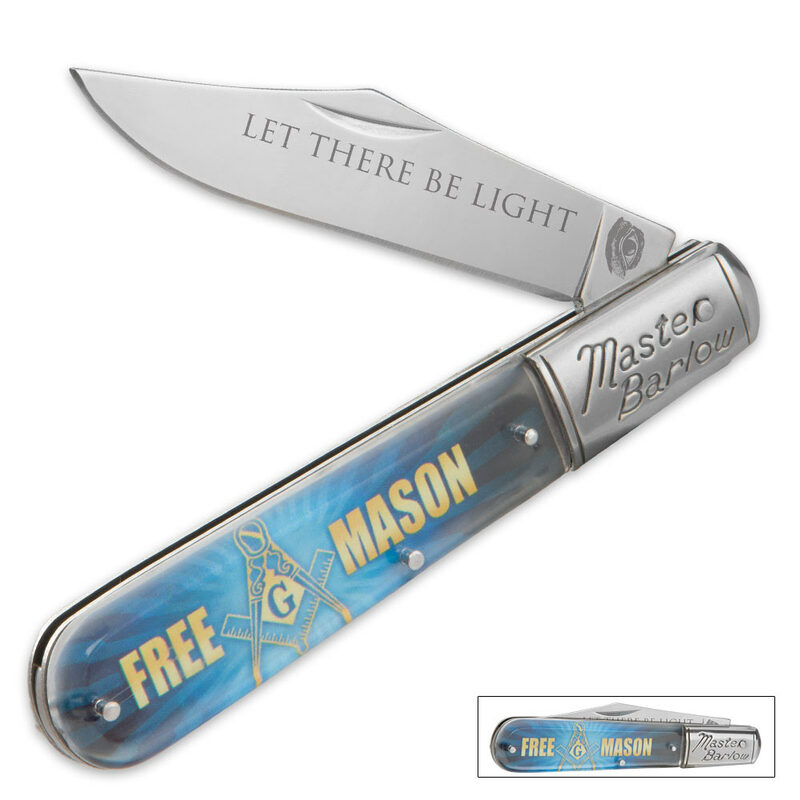 The blue plastic handle features a Free Mason design. It is 5” closed.